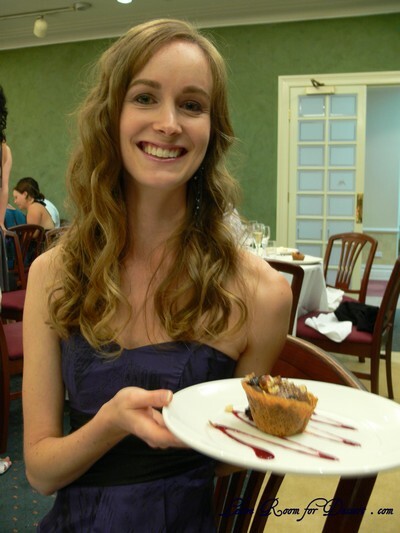 Filed under Dessert, Gluten Free, Ice Cream, Recipes, Vegetarian. You can follow any responses to this entry through the RSS 2.0 feed. You can leave a response, or trackback from your own site. oh yum. this looks so good. i’ve never made sorbet before and always wondered how it’s done without a machine. i reckon a few stray seeds in the sorbet would be ok to give it texture and flavour? 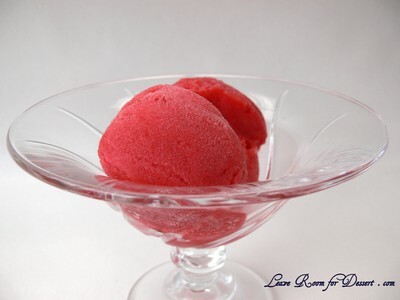 In my opinion, it’s never too cold for sorbet! But we are approaching summertime here so I’ll definitely be making this. It looks very refreshing! This sobert has such deep red color. I like it! 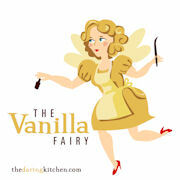 It’s never too hot/cold to post anything of the sorbet/ice cream variety! I love the colour! When I lived in Boston, it could be -20 out and people were still lining up for ice-cream. So I say it doesn’t matter what the weather is doing. Hot or cold. Sorbets and ice-creams can be enjoyed anytime. 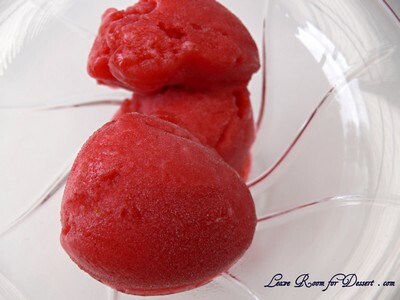 The texture and richness of colour of your sorbet is fantastic! Brilliant Anita! 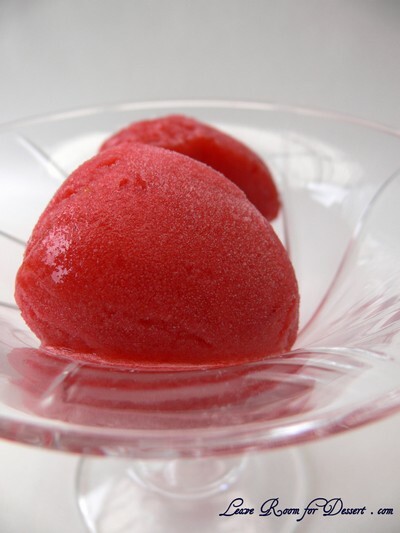 Very handy for you to come up with sorbet! 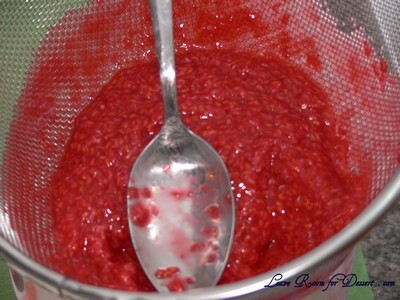 I always assumed I had to use fresh raspberries to make sorbet which is really quite prohibitive but knowing I can use frozen – I’ll have to try it before the weather gets colder! Brilliant color! This is perfect for this great weather we are having here. 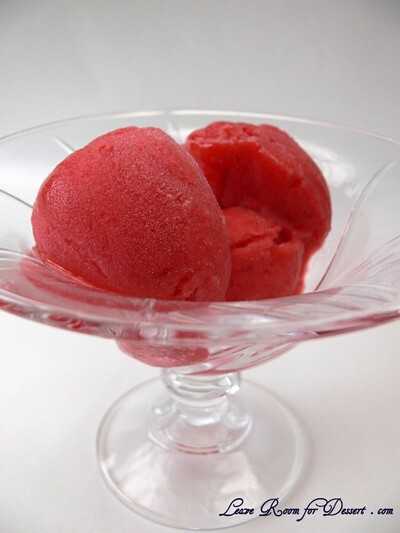 I love making sorbet but I don’t have an ice cream maker so it takes a lot of extra work for me!